It is always exciting to sit down and share with you a new brand on A Little Boat Sailing. Whilst today’s brand is not necessarily new, it is indeed the first time in which I have featured anything from it; which of course makes it all the more exciting to sit down and write this post. Cath Kidston is a well-known English fashion designer who is recognised for her beautiful floral patterns on both clothing and home furnishings. More recently a truly stunning collection of watches has been launched, whereby the whole range can be exclusively found on the Watch Shop.com. 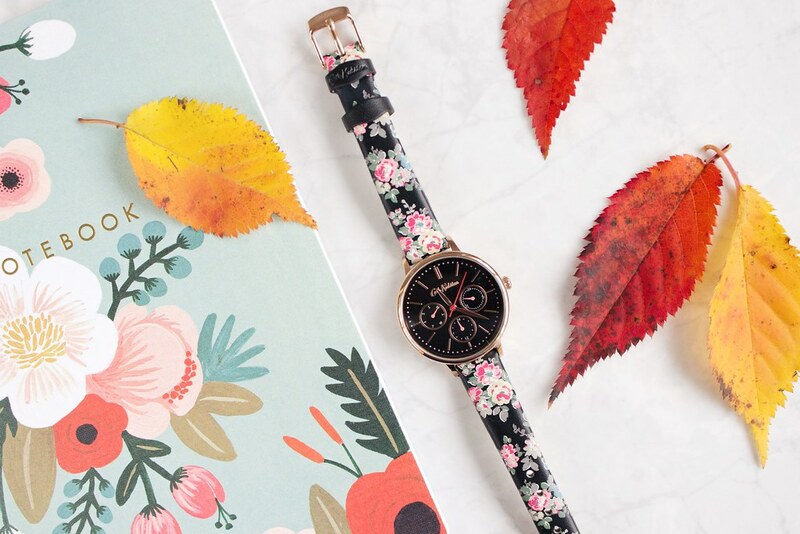 There is a wide selection of watches to choose from, ranging from the traditional leather strap to a more modern bracelet style; they’re all utterly beautiful in my opinion and manage to capture the true essence of the Cath Kidston style. 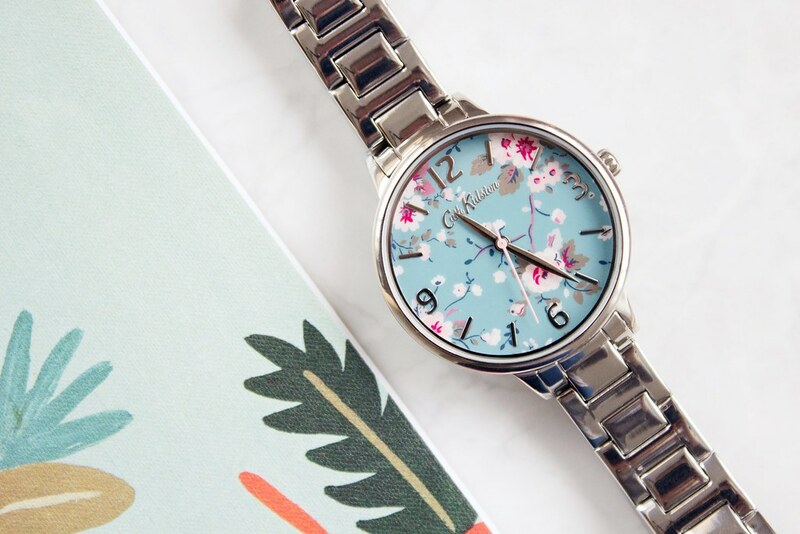 From the newly launched range I have two to share with you today, the first of which being the Cath Kidston Trailing Rose Silver Bracelet Watch*. Out of the two styles in today’s post I must admit that this one is my favourite; I have always opted for a slightly more ‘chunky’ style of watch. There are several styles like this, however I opted for the silver one as I thought it would make a nice change to the abundance of rose gold offerings that flood the market; that being said, if rose gold tickles your fancy then there is also an utterly beautiful watch in that finish. The face on this watch is also in my favourite colour which is yet another reason as to why I picked this one over the other styles. It truly is beautiful, it is feminine, light to wear and it goes with everything due to the simple nature of the design. Out of the two it is the least detailed, the design on the face and the delicate branding is the only real giveaway that this belongs to the Cath Kidston brand. Personally I do like this because it is a bit easier to wear, that being said, the second design looks stunning against my leather Pandora bracelet so it all really does depend on how you style each piece. 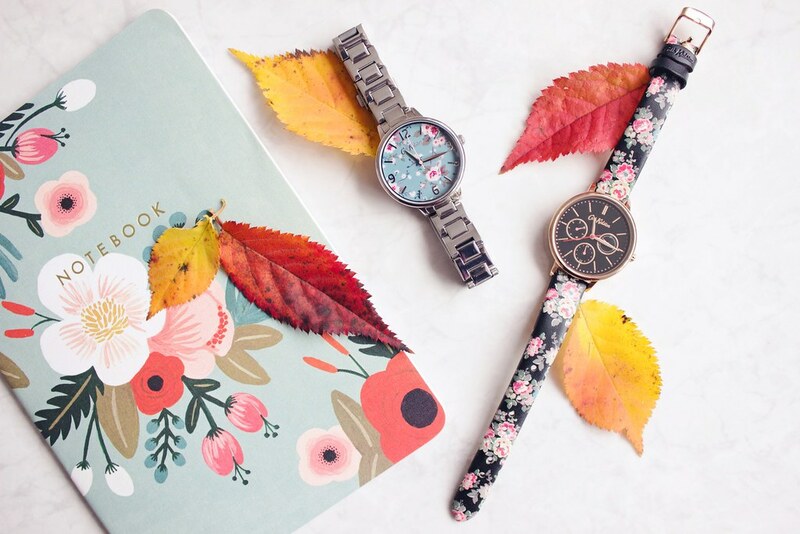 In contrast to this, the Cath Kidston Kingswood Rose Charcoal Watch* is visually much more typical of the floral designs that Cath Kidston is so well known for. Made from genuine leather this is for me more delicate than the first, it is the type of watch that I would not opt to wear every day, saving only for more special occasions due to the nature of the strap. It goes without saying that this is again a stunning piece of jewellery, in fact, I think that it is a perfect piece for this time of year as the contrast between the dark and light colours used within the design are really quite autumnal, especially against the rose gold plating used on the face of the watch. Out of the two this style is may be perceived as the more feminine due to the more prominent floral design; although I personally adore both styles and will most certainly get a lot of wear out of them both. On a whole I have to say that for a brand such as Cath Kidston I was expecting the price point to be higher than it is. For me personally I think that they have been priced extremely well, they’re not unobtainable in the slightest and of course prices do vary depending on the style you choose. 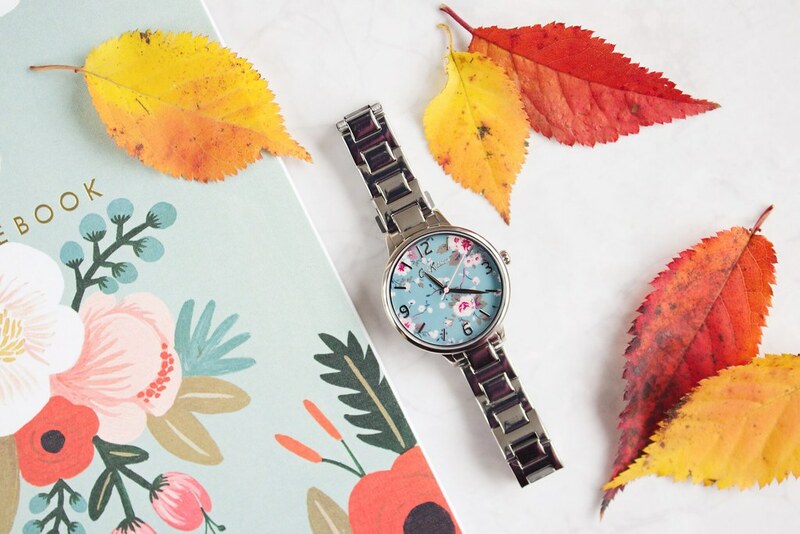 If, after reading this you are even more interested in the Cath Kidston Watch range, especially as we head towards Christmas and you’re looking for ideas (or just a treat for yourself), then don’t forget to head on over to check out the whole range over at the Watch Shop.